I had the incredible opportunity of teaming up with Raymond Querido, better known as The Online Coach. We are boosting his online sales through a completely redesigned online store, and have implemented automated sales funnels throughout the site to nearly eliminate the need for him to manage his website. Less time spent managing mundane tasks means more time promoting and selling his business. 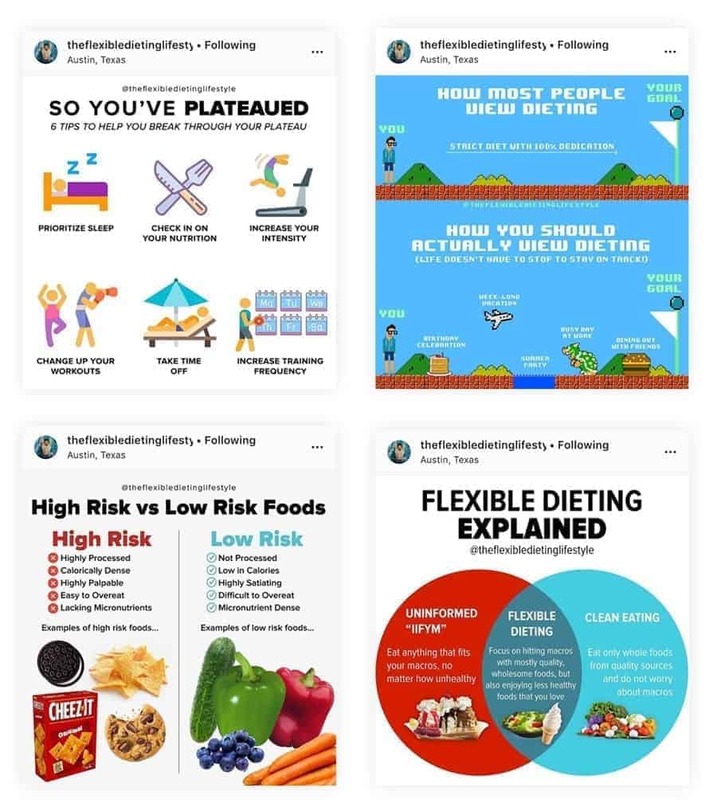 Every month, I help put together a collection of infographic-style Instagram posts for @theflexibledietinglifestyle. By taking a general idea & topic, I am able to put together visually appealing, informative posts that improve engagement. The Flexible Dieting Lifestyle has historically been about providing people with macro-friendly recipes, but has more recently shifted to also educating individuals on how to properly flexible diet and reach nutritional freedom. These informational Instagram posts help to provide value to the audience and reflect what this company is all about. 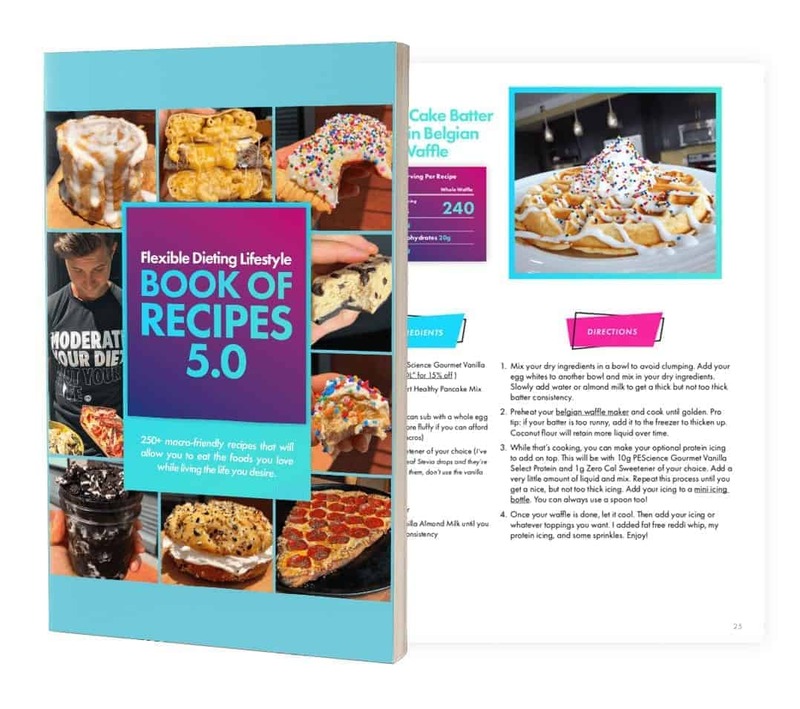 Still one of the most comprehensive projects I’ve worked on to date- the Flexible Dieting Book of Recipes 5.0 is a 250+ page recipe book compiling all of the best macro-friendly recipes that FDL has to offer. I was tasked with coming up with a fun, new design that would make the new book more appealing, without being distracting. We used a lot of bright color here and a brand new layout to make this book truly unique! 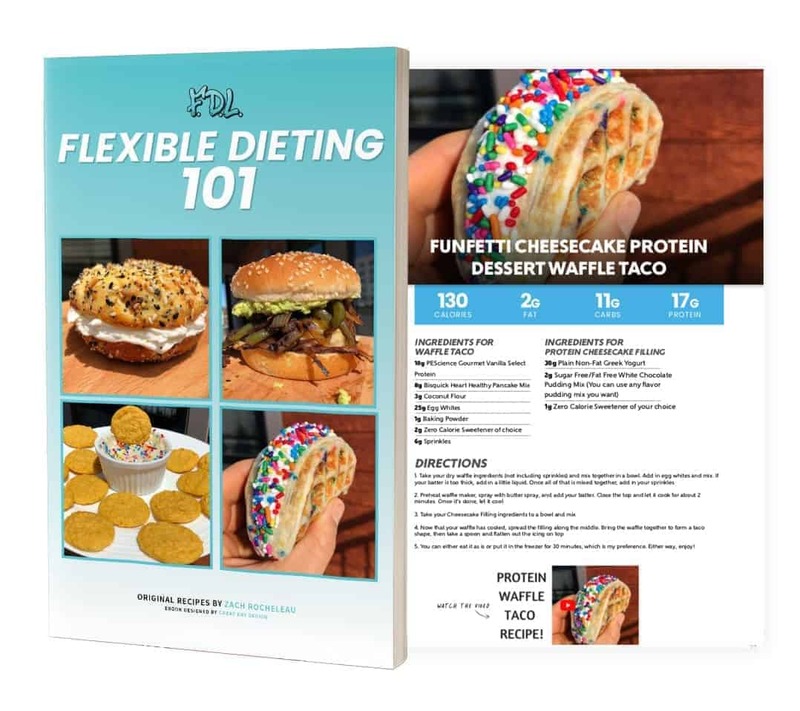 I also helped to put together the “Flexible Dieting 101” recipe book. This one is significantly smaller than the previous, and is being used as a freebie that includes articles on flexible dieting along with a handful of sample recipes. I’ve had some fun creating logos for FDL. Zach shares the same love of 90’s culture as I do, specifically the Fresh Prince of Bel-Air, so I created a custom alternate FDL logo in the Fresh Prince style! That logo has been used on stickers and other limited merch. The other two logos were created to support various FDL ventures. 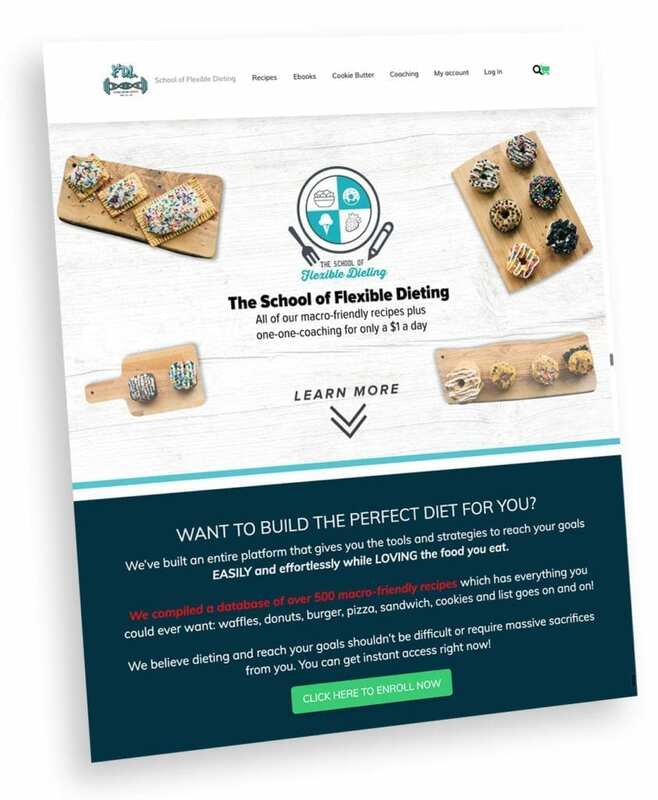 The School of Flexible Dieting is a complete educational platform that not only gives you the macro-friendly recipes, but also has tons of content on health & nutrition. The other logo, the Flexible Dieting Podcast, was created as part of a rebrand of the former “Zach Rocheleau Podcast”. While I haven’t built a full site for FDL, I have contributed to many of the site’s elements. 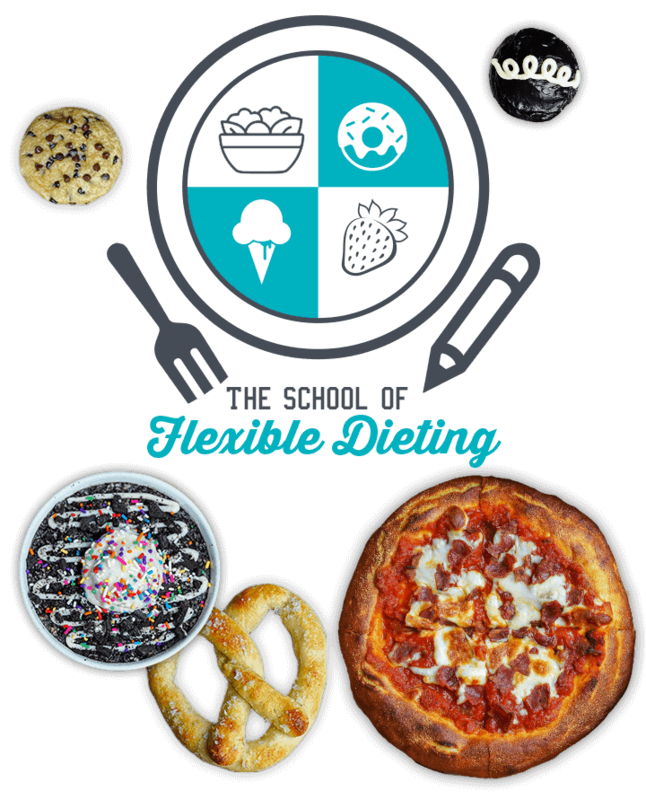 The School of Flexible Dieting is very graphic-heavy, so I have created a lot of banners, ads, and content for the School. If you enroll in the School, you’ll see much more visual content, but you can see a preview here!